Complete your visit to the Liberty's by relaxing in the stylish surroundings of the newly refurbished Café Liberty. You can enjoy breakfast, lunch, afternoon tea and dinner in the airy, vibrant restaurant on the second floor. It's the perfect place for a glass of wine or a sumptuous afternoon tea, and our selection of delicious sharing platters are not to be missed. 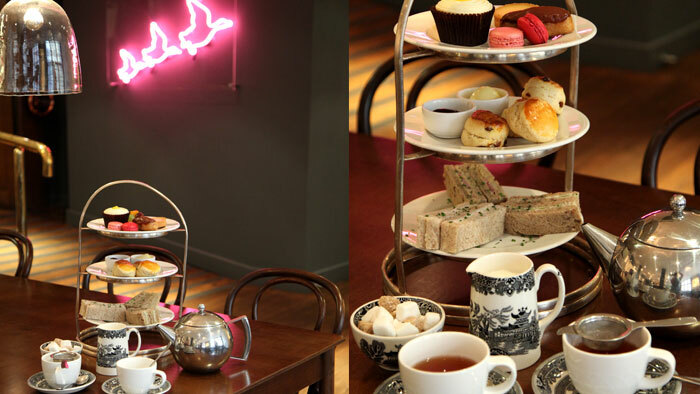 What better way to relax after a shopping spree than tea at Liberty? A traditional afternoon tea costs £16.50 and includes finger sandwiches, a slice of tea loaf, cream cakes and fruit or plain scones with strawberry preserve and clotted cream. With a glass of pink English bubbles, the price is a very reasonable £21. And the traditional afternoon tea is served all day. Its really amazing place for refreshment i like it . One of the best place Liberty London .i want to visit this place . if any one looking best place for stay feel free check this link .